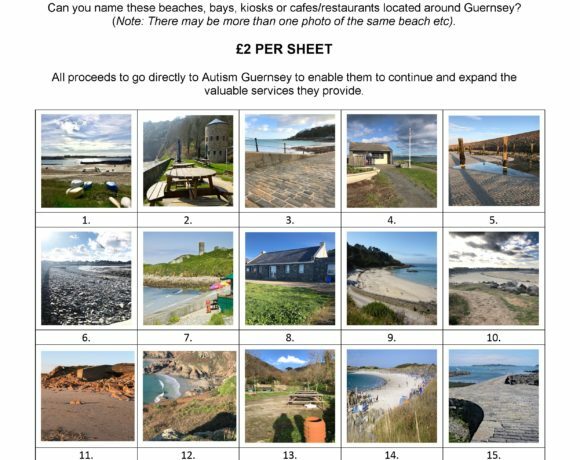 Due to the success of last year’s Landmarks Quiz, Autism Guernsey has produced another one depicting beaches, bays, kiosks and cafes/restaurants. All you have to do to be in with a chance of winning a wonderful prize is name the 80 beaches etc. around Guernsey. Don’t worry if you can’t name them all as you can still be in with a chance of winning, so still send your entry in. The quiz sheets cost £2 each and can be bought from Vistas, Les Cotils, Stan Brouard, Oaty & Joey’s or Autism Guernsey’s offices.